Infuse your living space with style and soft radiance with this elegant table lamp. Featuring a jeweled design and a mahogany finish, this table lamp adds a touch of class and artistry to your living room or bedroom. 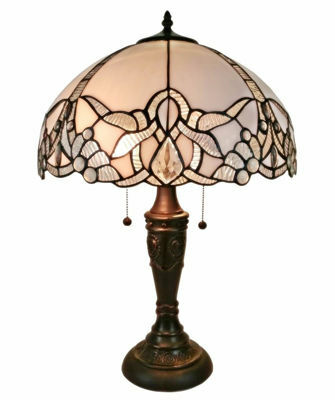 With its art glass shade and two lights, this table lamp warmly complements your overhead lighting.